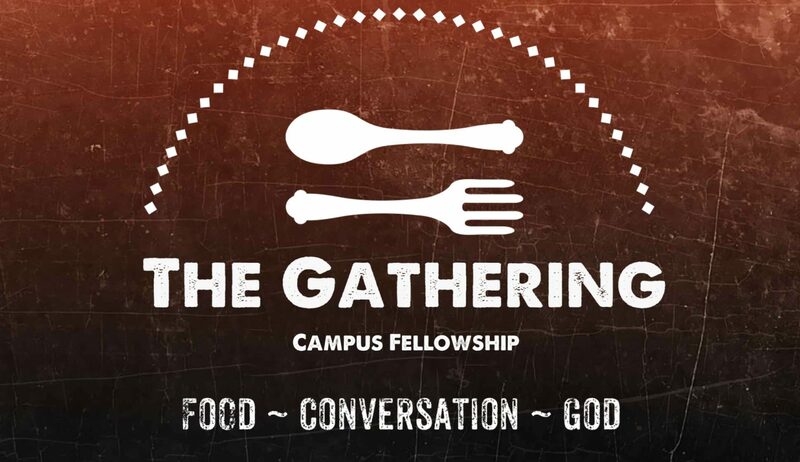 The Gathering is a safe, open space where undergraduate and graduate students can explore and express their questions and their doubts, learn from others, and be supported in their personal faith and growth. We gather every Wednesday night during the school year, 5:00-7:00, for a free, home-cooked meal, conversation, and friendship. What is Grub Theology? Grub Theology is people sitting around a table after a shared meal, talking about issues of faith, philosophy, ethics, ideas, relationships, current events, and anything else that matters. It’s an open conversation, where everyone is welcome and anyone can share their thoughts. It’s a safe space, where people can be honest about topics of faith and meaning, ask any questions, and, at the end of the night, know that it’s okay if we disagree with each other. It’s a place where you can come as you are, trusting that others will offer their support and encouragement. It’s a place where you can bring your friends of any faith or no faith, trusting that those friends will be accepted and respected. At the Gathering table, there is only welcome. This semester, our Grub Theology will focus on “The Life Well-Lived.” What makes for a meaningful life? When we are considering the big questions and decisions of young adulthood, like vocation and romantic relationships, how can our faith help us make meaningful choices? How can our smaller decisions align with our bigger sense of purpose? We will reflect on these questions through conversations with people in various life stages who have allowed their faith and sense of purpose to guide their life choices. We’ll hear from people who made specific choices in college or early adulthood that led them to where they are today, as well as from people who got partway down a career path and then decided to make a big change in order to live a more purposeful life. If you are new to the University of Michigan, whether a freshman in college, a transfer student, or a new graduate student, we hope you will check us out some Wednesday night this fall! If you are returning to the University of Michigan and haven’t yet found a place that you can call “home,” either spiritually or socially, we hope you will come, too! And if you are just curious about what faith or community is all about, we would love for you to give us a try. We think you will find that we are warm, open, and accepting of people from all backgrounds, with all kinds of questions and hopes. As the school year kicks off again, here are a few things we hope you will put on your calendar! Wednesday, September 5, The Gathering Kick-Off, 5:00p-7:00p – join us for pizza and ice-breakers – make new friends and learn more about The Gathering! Tuesday, September 11, 3:30p-6:45p and every 2nd Tuesday of the month – Vespers Meal for the Homeless and Hungry – come help in the kitchen at First Baptist of Ann Arbor as we prepare and serve a meal for those in need. Come for half an hour or the whole time. Sign up to receive our weekly e-newsletter! We’re excited about the year ahead, and we hope to see you soon!